Most of the guys on this page I know the height of. But not the gorgeous straight man at left. He is one good looking mystery man. 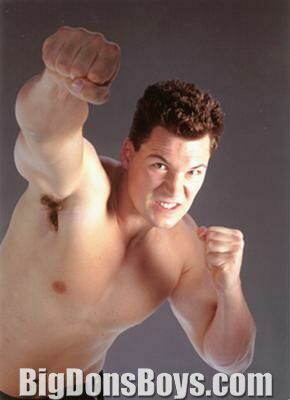 There are some great pictures of him in the Main Gallery too and on Bodybuilding Page 13. 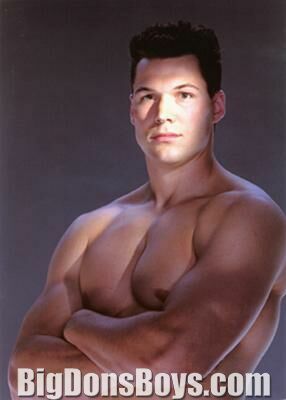 Also on this page is 6'8" (2.03m) actor Daniel Cudmore who was in the movie X-Men. 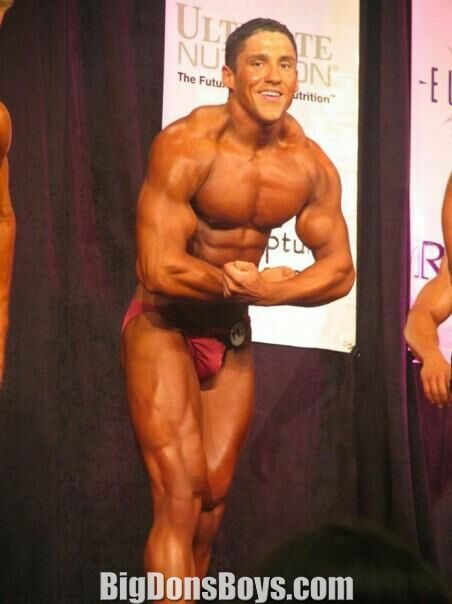 And the photo at the very top of the page of the guy in the red shirt is my big bodybuilder buddy Eric. He's 6'5" (1.95m). IFBB pro Matt Pattison takes fitness model Jeff Seid through a chest workout. 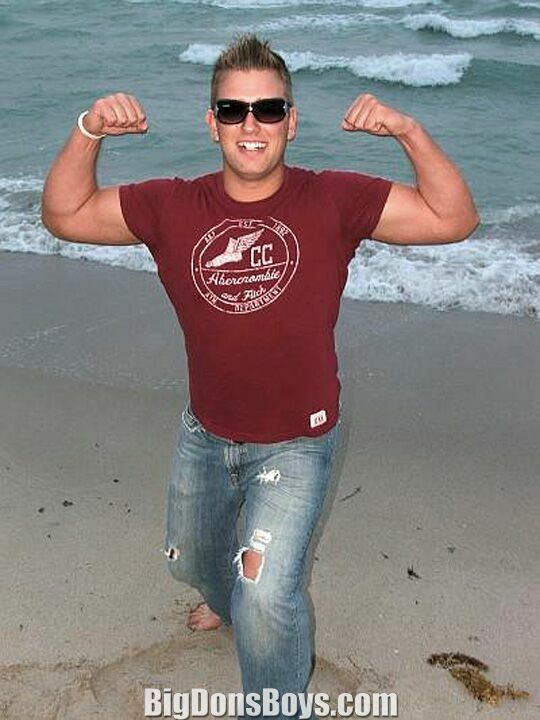 Matt is a personal trainer in Washington State. Born in 1983 in Seattle, Washington he was a 2002 grad of Inglemoor High school in Kenmore Washington. He was a three year letterman and earned all-league honors as both a linebacker and kick returner. He rushed for 11 touchdowns as a senior. He also ran track competing in the 100, 200 and 4x100 and high jump. 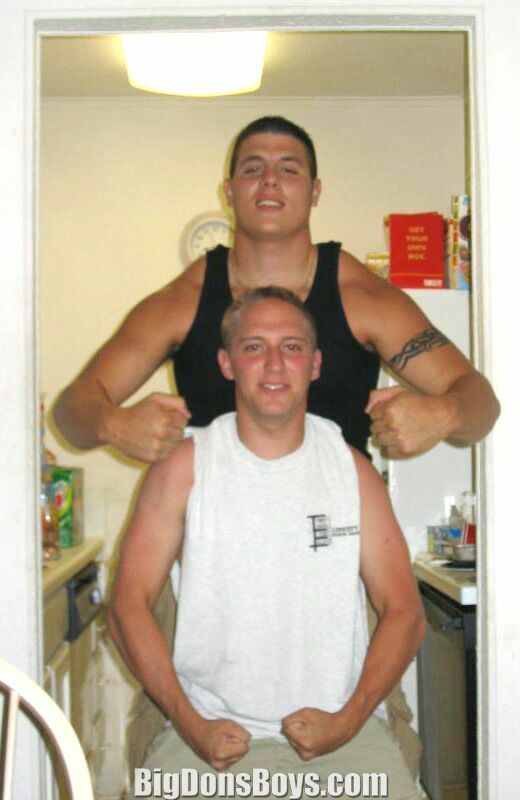 When he played football for the University of Las Vegas in 2005 he was a 230 lb. linebacker. 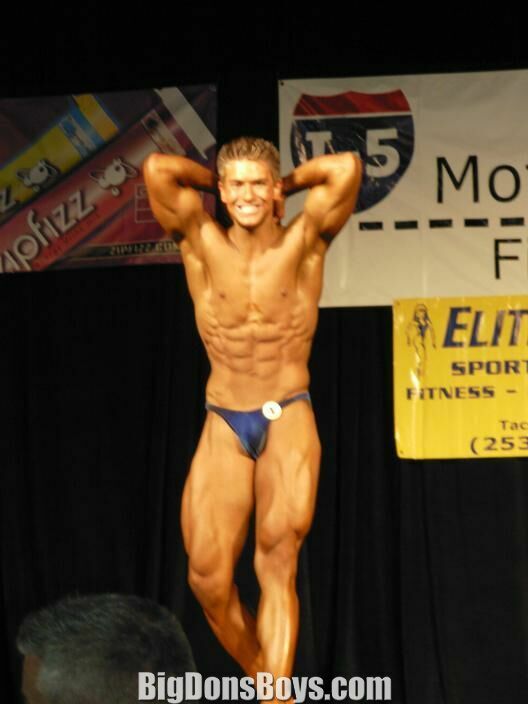 Matt has competed in a lot of bodybuilding shows, including the IFBB Grand Prix Los Angeles, 2013 NPC nationals/Jr. Nationals/Jr. Usa/Emerald Cup and more. 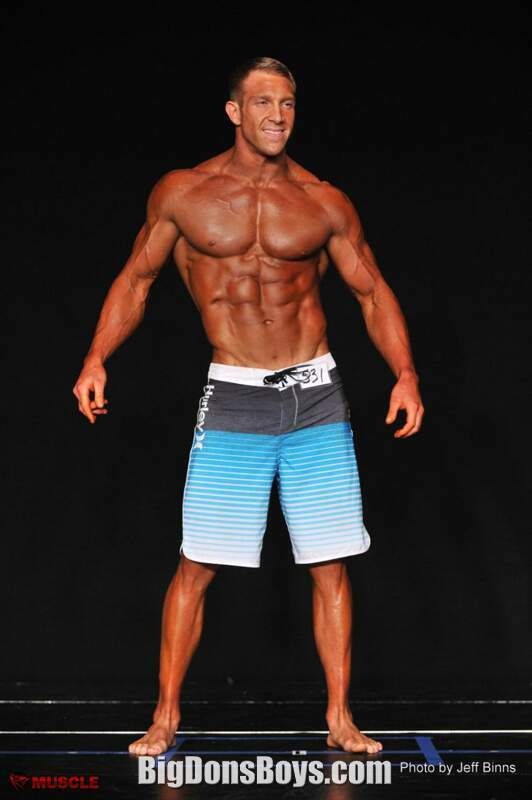 He earned his pro card in the 2013 NPC nationals. Jeff Seid is one of the handsomest of, okay he is THE HANDSOMEST, of a new breed of fitness models and trainers who promote themselves on YouTube. Unfortunately Matt uploaded a few more videos himself then stopped. Meanwhile Seid has parlayed his Internet fame into endorsement deals and sponsorships. But he is too short to appear on this website on his own, therefore he is worthless to me! IT'S TRUE!